Making the right choice for fishing accessories is a tedious task itself, and when it comes to a good fishing reel, people get confused a lot. There are lots of different reels available in the market with all the different numbers such as 1000, 2000, 3000, 10, 100 and so on, these are alone capable of confusing you, leave the other factors apart. Thanks to us you don’t need to worry how to choose a fishing reel because we will tell you how to select a fishing reel. Before jumping into that, we need to understand the fishing reels a bit. There are different types of fishing reels out the market. Like Spinning Reel, Baitcasting Reel, Conventional Reel, Spincast Reel etc. You should choose one of them according to your need. What is a fishing reel? In a lame man terms, a fishing reel is a mechanical instrument which holds and spools out the fishing line. The fishing reels have a braking system, a handle to retrieve fishing line and bracket to fasten with the rod. Why are proper fishing reels important? A fishing reel lets you slow down a running fish, thanks to its brake. A better reel gives you more control over the fishing line in the way they are laid and while retrieving. Reels give you mechanical edge and thanks to its special “drag” system; it can pressurize the fish during the fight. Combining all the above feature, you can easily reel in your catch without much effort. Here’s an infographic for you so that you can easily keep the facts preserved in your head and act accordingly while choosing the best match for you. Enjoy the clear and simple visuals. Understanding different types of fishing reels is not that hard at all, trust me. You just need to know the features that should be looked in a fishing reel that suits the best for your journey. Saltwater vs. Freshwater: Although there is no difference in the functionality of the reels made for the different environment. They only differ in construction materials. Reels which are to be used in saltwater are made from tough corrosion resistant materials such as shielded stainless steel, forged and anodized aluminum and use supreme quality ball bearings as they are operated in a much corrosive environment. Bearings or Bushings: Expensive and high-quality reels use sealed ball bearings which results in much smoother working under the heavy loads (big fishes). While bushings are used in regular reels as they are the much cheaper alternative. Also, it does not require much maintenance. Gear system: Each and every reel is provided with a definite gear system which is similar to gears on the bike. The gear decides that how many times the spool rotates for a single rotation of the handle, this is known as gear ratio. A lower gear ratio means it will be easier to crank but will have to rotate multiple times to get the line in and vice versa. Drag system: Most of the reels have the adjustable tension feature that lets you set the resistance required to pull the line from the reel. This helps greatly during the fight to pressure the fish. For adjusting the drag, there is a knob or lever provided. High-quality reels use proprietary materials to create the drag which avoids snapping of lines. Levelwind Mechanism: This mechanism is a must for reels which automatically distributes the line on spool evenly from side to side while retrieving. In case your reel does not have Levelwind mechanism, you have to do it manually with the hand which is tough. Spool capacity: Perhaps the most important point to consider, look at the weight and capacity of the line which you are going to use. Deep spools are designed to take longer and heavier line. On the other hand, shallow spools allow you to cast the line more easily as the line comes out directly. You may have noticed a certain number printed on the reel which varies from manufacturer to manufacturer, these numbers are tough to understand but let us help you with the spinning reel size comparison. 1000 to 3500 (10 -30): This class of reels is designed for small fishes and a rod of length between 6-7 ft. The weight limit for this reel is 1-5 kg. 4000-5500 (40 – 55): This class of reels is designed for medium-sized fishes and is suitable for a rod of 6-7 ft. The length and the weight limit for this reel are 4-7 kg. 6000-9500 (60-95): This category of reels is suitable for varied length rod and is used to catch big fishes. This can support a weight of 6-15 kg. 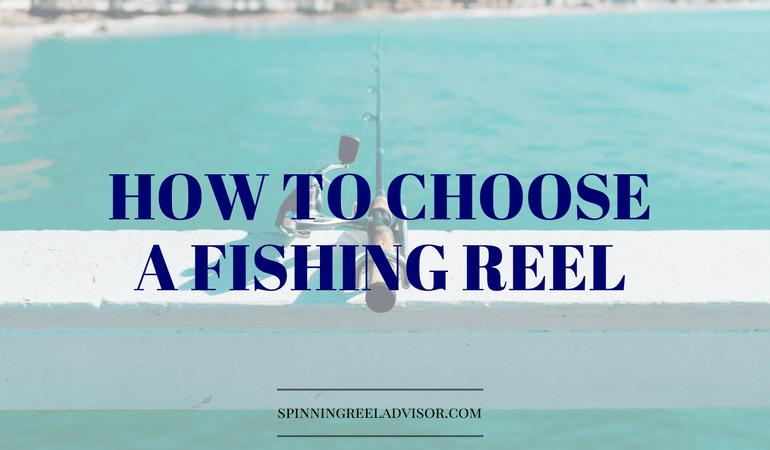 The rod and reel work hand in hand and therefore it’s quite important to select a reel which suits your rod. You can look at the above features before making the final decision. Look for a reel which satisfies your fishing needs and more importantly something that keeps you comfortable while fighting the fish. If you don’t know how to cast a fishing reel, then you should definitely check another article on “Know How to Cast a Spinning Reel?“.